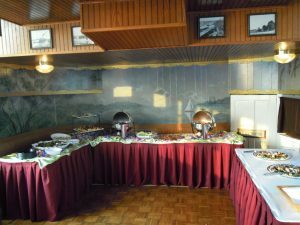 The Lower Deck or Parlor is where our Deluxe Buffets are normally set up. Buffet tables and Dinner t ables are always set with fresh linens before each cruise. The interior is beautifully decorated in a Red Oak with a white enameled wood trim. 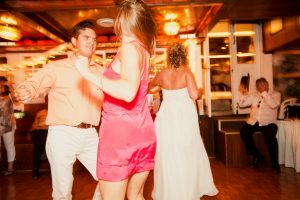 The Lower Deck is capable of being set-up a number of different ways to allow for maximum flexibility and to accommodate your specific cruise needs. A standard table seating for 48 allows for greatest comfort. 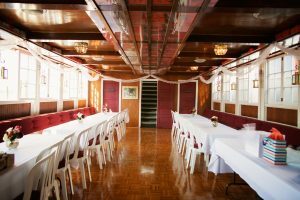 The Lady of the Lake has been outfitted with a new sound system.The Lower deck has windows that may be opened and a large beautiful hardwood dance floor, bring your music device! Dinner First and then dancing!